I was interviewed recently about the art and craft of writing in general and writing in the historical fiction genre in particular. As a journalist for some thirty years I interviewed thousands of people all over the world. Now that I am on the other side of the table, I am finding that being the interviewee is as different from being the interviewer as chalk and cheese. Don’t get me wrong. I actually enjoy being interviewed because it obliges me to think about what I do. It’s a lot like teaching. You must be able to verbalize your skills and knowledge and present them in a compelling way in order to teach effectively. That’s not always easy to do. But I thought I would share my interview with my readers. I hope you will find it useful and perhaps even interesting. Q. What historical time periods interest you the most and how have you immersed yourself in a particular time? A. Growing up in rural Kansas I was always fascinated by the state’s 19th Century history. Kansas was a pivotal state prior to the Civil War because it entered the union as a free state and was populated–especially in the Northeast–by abolitionists. Kansas was a terminus for the Underground Railroad. After the Civil War, it became about as wild and violent as any state in the union. 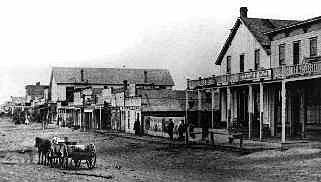 Cattle drives from Texas, wild cow towns, outlaws, legendary lawmen and fraudsters of every stripe gave the state a wicked reputation. At the same time, the 19th Century in America was a time of amazing growth, invention, progress and expansion. For some, such as Native Americans, this growth was not a pleasant experience and in some cases, it was quite deadly. For others, the possibilities seemed limitless. Prosperity seemed restricted only by one’s own determination and effort. Q. 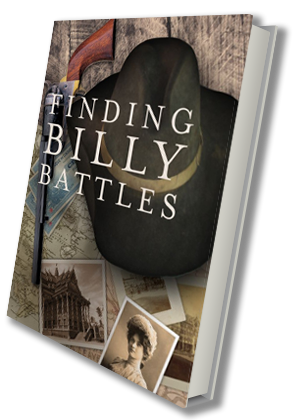 Introduce us briefly to the main characters in your most recent book, Finding Billy Battles. A. William Fitzroy Raglan Battles is the main character in the book. We meet Billy Battles through his great-grandson who meets him when he is 98 years old and living in an old soldiers’ home in Leavenworth, Kansas. The great-grandson inherits Billy’s journals and other belongings. Then, following his great-grandfather’s request, he produces three mostly linear books that reveal Billy’s amazing life. The book begins with Billy introducing himself. We learn that his father is killed during the Civil War. He is reared by his widowed mother, Hannelore, a second-generation German-American woman who has to be both mother and father to her only son, rears him. It is a tall order, but Billy grows up properly and is seemingly on the right path. His mother, a hardy and resilient woman, makes a decent living as a dressmaker in Lawrence, Kansas. An ardent believer in the value of a good education, she insists that Billy attend the newly minted University of Kansas in Lawrence. She is a strong influence in his life, as are several other people he meets along the way. There is Luther Longley, an African-American former army scout who Billy and his mother meet at Ft. Dodge in 1866. He escorts them the 300 miles to Lawrence and winds up being a close friend to both Billy and his mother. There is Horace Hawes, publisher and Editor of the Lawrence Union newspaper who takes Billy with him to start a new newspaper in Dodge City. There is Ben Minot, a typesetter and former Northern Army Sharpshooter, who still carries a mini ball in his body from the war and a load of antipathy toward The Confederacy. There is Signore Antonio DiFranco, the Italian political exile Billy meets in Dodge City. There is Mallie McNab, the girl Billy meets, falls in love with, marries and hopes to live out his life with. There is Charley Higgins, Billy’s first cousin, who sometimes treads just south of the law, but who is also Billy’s most devoted compadre. Then there is the Bledsoe family–particularly Nate Bledsoe who blames Billy for the deaths of his mother and brother and who swears vengeance. Book one of the trilogy ends with Billy on a steamship in 1894 heading for French Indo-China and other points in the Orient where one adventure (and misadventure) after another awaits him. A.I was intrigued with the idea of a 19th Century Kansas boy forced to deal with a string of tragedies and misadventures who eventually makes his way to the Far East in search of himself. How would he handle himself in such strange places as French Indochina, the Spanish-controlled Philippines, Hong Kong, Singapore, etc.? I spent most of my career as a foreign correspondent in Asia and I often wondered what it would have been like to have been in that part of world in the 19th Century. This book gives me (and my readers) an opportunity to find out. A. I am just finishing up Book #2 of the trilogy. It begins with Billy aboard the S.S. China headed for Saigon from San Francisco. Aboard the S.S. China Billy meets the mysterious Widow Katharina Schreiber, a woman who propels Billy into a series of calamities and dubious situations. She may or may not be a good influence on him. He also meets a passel of shady characters as well as some old friends from his days in Kansas, etc. Events conspire to embroil him in a variety of disputes, conflicts and struggles in places like French Indochina and the Spanish-American War in The Philippines–events a Kansas sand cutter is hardly equipped to deal with. How does he handle these adventures in the “mysterious East?” You will have to read Book #2 to find out! Q. Is there ever a time when you feel like your work is truly finished and complete? A.I don’t know if that ever happens. I do know that at some point, YOU MUST LET IT GO! Writing a book is a bit like rearing a child. Eventually, after you have imbued the child with as much of your worldly experience and wisdom as he or she can grasp and absorb you have to allow your creation to encounter the world. 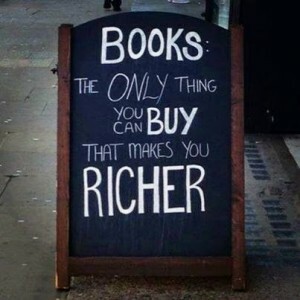 It’s the same with books. Writers can fiddle with plots, characters, endings and beginnings ad nauseam and never feel the book is finished. My advice. JUST FINISH THE DAMNED BOOK! Get over it and get the book out into the public domain. Readers will let you know if you have finished the book–and if they like it. Q. What is the biggest misconception beginning writers have about being published? A. Probably that once you get a publishing contract you are going to become a millionaire. I have published two books prior to Billy Battles with traditional publishers and I am still in the hunt for my first million. The J. K. Rowling’s of the world are anomalies. However, thank God they do exist, because it keeps the rest of us working our tails off in pursuit of that elusive kind of success. Now, having said that, I believe many writers write for the sheer joy we get from telling a good story–at least I do. The $$ are less of an incentive. Q. What would I like readers to gain from reading my book(s)? Q. Do you have some final words for readers or writers? A. For Readers: Please DON’T STOP READING! Those of us who love telling stories need you. And when you read a book, don’t be shy. Write a review on Amazon, Goodreads, Barnes & Noble, etc. and let us know what you liked and didn’t like about a book. I value the reviews I get from Amazon Verified Purchase customers more than I do from professional or editorial reviewers. After all, customers spent money on the book and that gives them the right to tell the author what they think. A. For Writers: Keep Writing. The world needs good storytellers today more than ever. I know that many who write are frustrated by letters of rejection from agents and publishers. Don’t be discouraged. If you can’t get a book before the reading public going the traditional publishing route, consider self or indie publishing. Publish on Demand (POD) books are everywhere these days and so are e-books. Writers today don’t have to consider a rejection letter the last word in their aspiration to publish. You have options to reach readers that didn’t exist 10 or even 5 years ago. Having said that, I must be honest. Many self-published books are not well done. 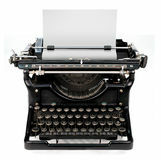 The writing may be poor quality; the covers are often inferior and the proof reading and editing is shoddy. Frankly, some books should never have made it off the printing press or into an e-file. However, there are enough gems coming from self-published authors to offset the marginal efforts. Q. What advice do you have for beginners? A. Give yourself time to learn the craft of writing. How do you do that? Read, read, and read. If you want to write well, read well. Learn from the best; imitate (and I don’t mean plagiarize). Listen to the words! You don’t have to spend thousands of dollars on writing seminars, conferences, etc. Gifted writing can’t be taught. It must be learned. And we learn from doing it; from experience. Writing is a discipline that you can learn at any age. Unlike ballet or basketball or modeling, writing is not something that if you missed doing at 16, 18 or 20 you can never do again. You are NEVER too old to begin writing! I recall interviewing Pulitzer and Nobel Prize winning author Pearl S. Buck once. It was late fall, 1971, and at the time she was living in Vermont. We were talking on the phone and suddenly she began describing her backyard and what she said was the first snow of the season. I never forgot that conversation with the first American female Nobel laureate. She was 79 and still writing. Pearl S. Buck won the Nobel Prize in Literature for her book “The Good Earth,” about life in rural China. Finally, writing–as difficult as it is–should also be fun. When you turn a beautiful phrase or create a vivid scene, you should feel a little flutter in your heart, a shiver in your soul. If you do, that means you have struck an evocative chord with your writing. Nothing is more rewarding than that!